The wife and I celebrate 15 years together on 8/9. 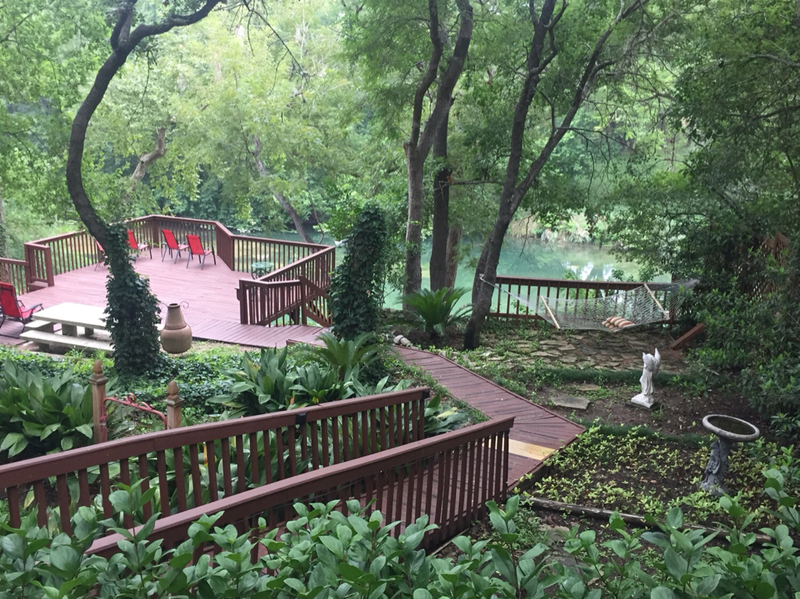 She has wanted to to Gruene for Roger Creagers birthday bash for several years. So we planned the trip and of course started trying to sprinkle in bbq stops going too and from. To make our situation more interesting my back took a nose dive and finally drove me to the point of Surgery. The Surgery was scheduled for today but last week the surgeon called to see if we could move it up to Monday. So we went Gruene and back 4:30 operating room wake up call for the Monday we returned. Good news is I am out at home recovering as I type this with new rods. Spacers and fusions on my L5 S1 area (low back). Needless to say I won’t be cooking much for a few weeks. So here goes the trip! Louie Mueller was the stopping off point in the way down and it did not disappoint. 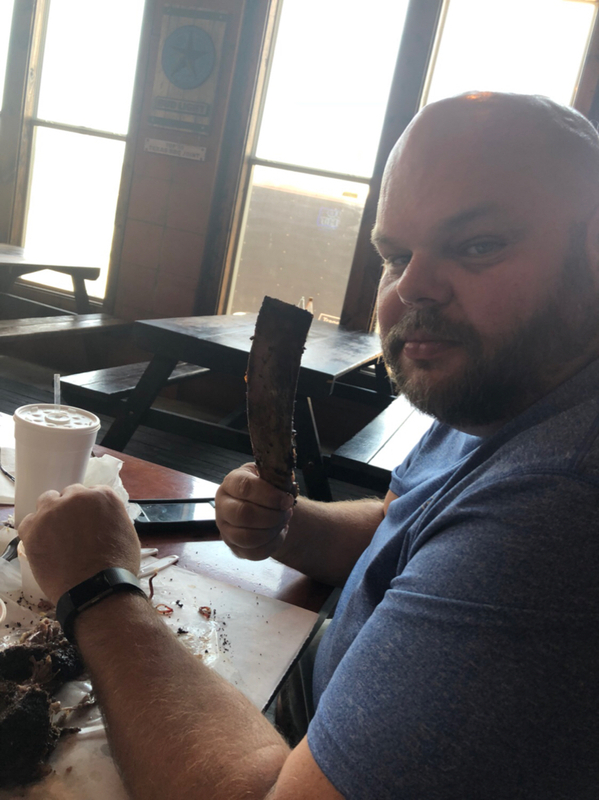 Their beef ribs are the stuff of legend and they were definitely legendary. Mixed in stock me lean for the wife and a couple sausage rings. 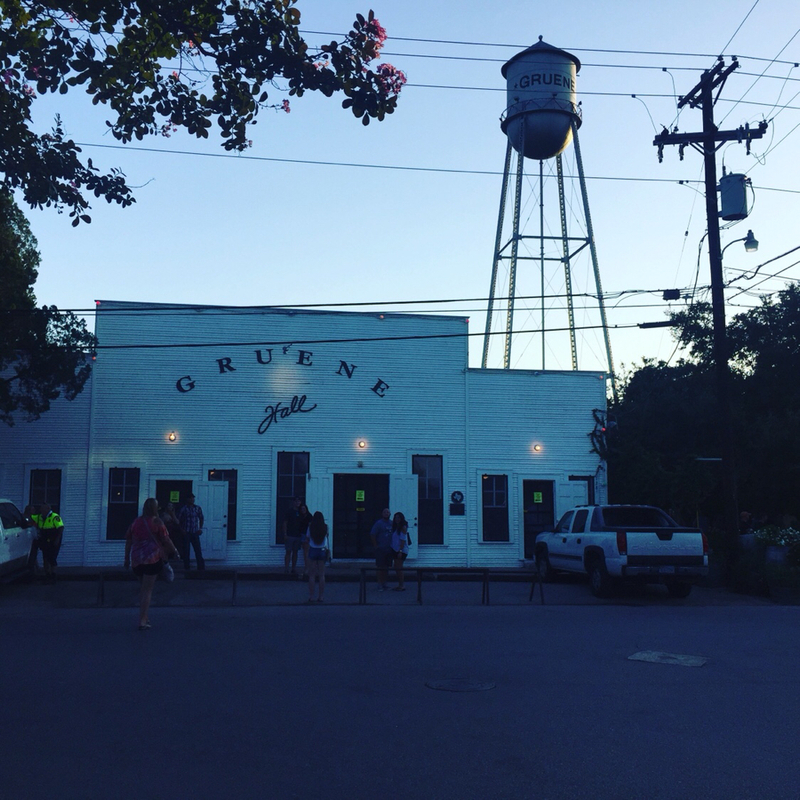 With the meat sweats and 100 plus degree temps weighing us down we headed to Gruene. Woke up to this view on Saturday morning for our coffee at Lambs Rest Inn. We decided we were still stuffed from the BBQ the day before so we headed into town to grab a sub sandwich. Wouldn’t you know it, Blacks new New Braunfels location was just down from the sub shop…subs cancelled :) We did keep our ordering light this time though and they are doing some nice Q there. We had our anniversary dinner at Gruene River Grill and I had a spicy bacon wrapped shrimp dish that was really good. 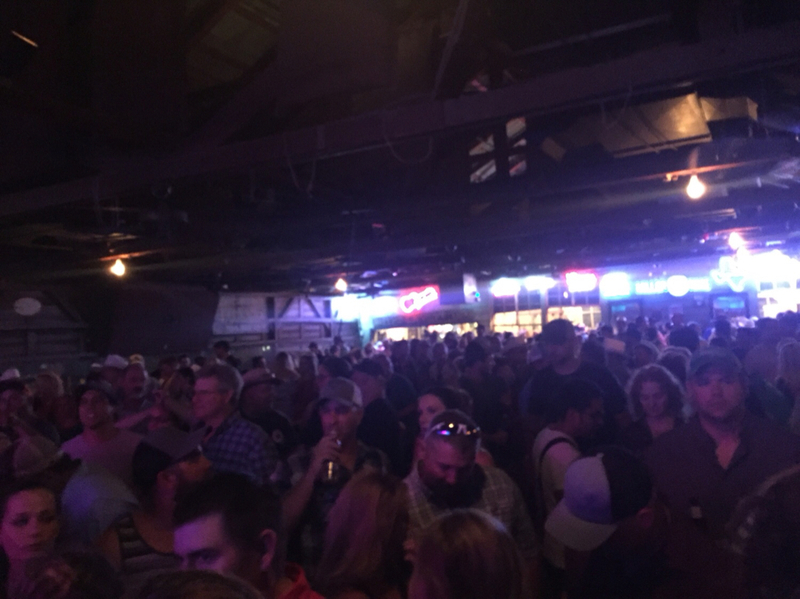 For those of you that don’t know, Gruene Hall is Texas Oldest Dance Hall and they have kept it all original - as in no AC, they just open up the windows and pray for a breeze. Well, it was sold out and no breeze. Still a heck of a good time though. On Sunday we headed back with eyes on spending some time with the kids before Monday’s ordeal…but we still had time for one more stop. 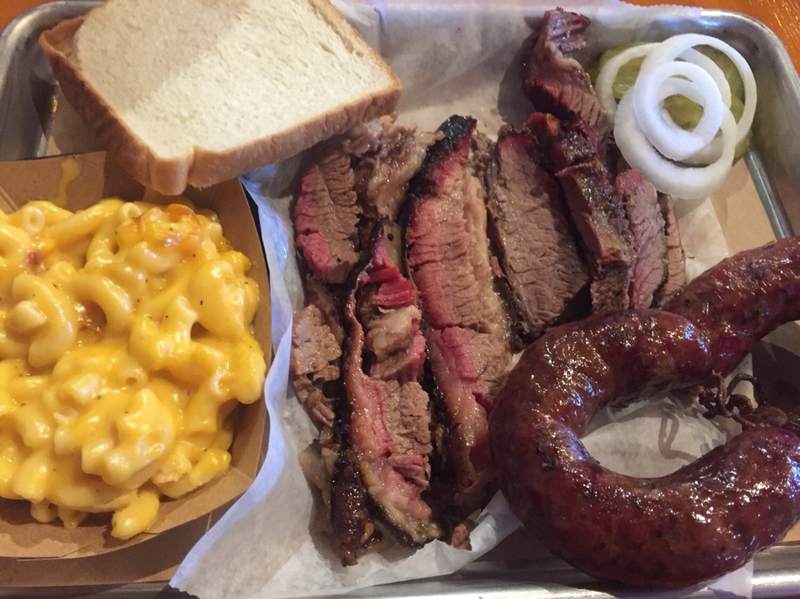 John Mueller’s Black Box BBQ in Georgetown. I would say he is at the peak of his BBQ game right now. 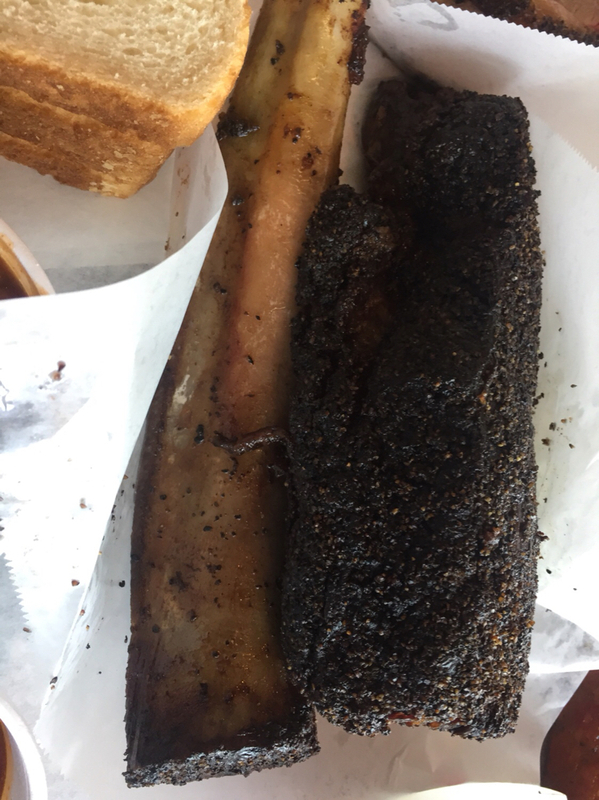 It was all awesome and the Jalapeño Boudin was one of the best thing bags I’ve ever had at a BBQ joint. Highly recommended stop. Thanks for the Pics and reviews. 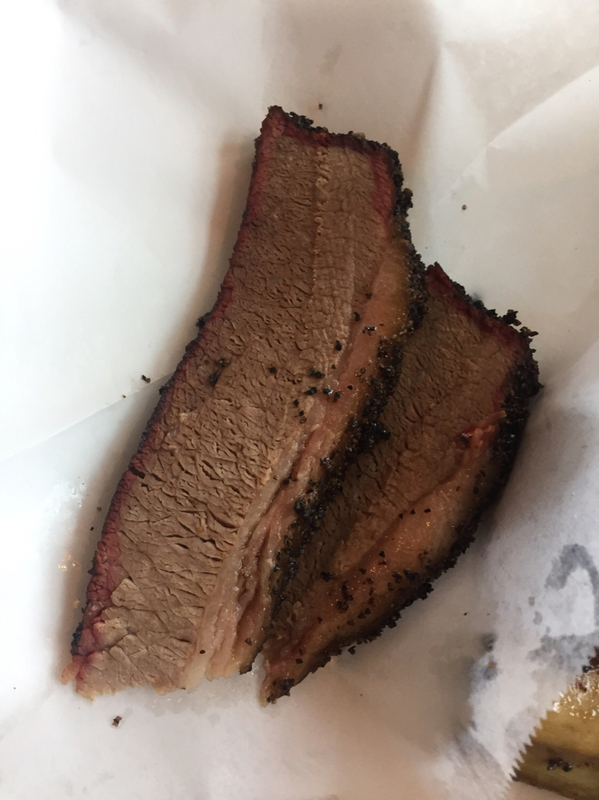 Good looking grub, and Gruene is a nice spot. prayers for a speedy recovery SIR, you'l be cooking in no time. Great pics, meat looks so tender. lol Russ - you crack me up. Best of luck in recovery. Looks like you had enough Q to satisfy your cravings for a while. Nice write up. Nice post sooner. Gruene Hall is iconic, i go there often. nice write up, good pictures get back well soon!